Amarcrinum Howardii is a bulb, the bigger the bulb, the more stems it makes. The stems are between 60 and 100 cm long with 5 up to 15 flowerbuts. The flowers are pink and have a sweet, pleasant smell. 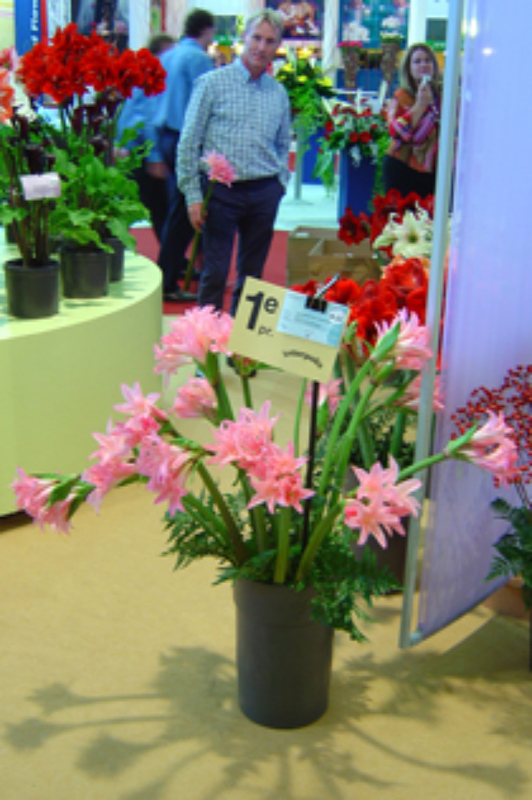 Amarcrinum is autumnflowering, so the stems will be picked from august till december. Bulbsize 20 will give one stem, bulbsize 26 two and bulbsize 30 three stems. The flowers go to Flora Holland Aalsmeer. The bulbs multiply at least 5 times in three years and as the young bulbs have grown up to bulbsize 20, they can be sold. The bulbs are not sensitive for any disease, but they have to be kept free from frost.